This time last year I had the opportunity to speak at the Ulster-American Heritage Symposium in Athens, Georgia. It was the second element of what was a two-part conference held in 2014 (the first part having taken place in Quinnipiac University, Connecticut) to celebrate the 20th anniversary of the biennial symposium, which explores Ulster’s connections with the United States. Quinnipiac University is home to Ireland’s Great Hunger Institute, and they took the decision to publish proceedings from the two events. The resultant book was launched at Quinnipiac last week, and I am delighted to have had an opportunity to contribute a paper to it. My effort focuses on what the American Civil War pension files might tell us about the Ulster experience of emigration in the 19th century. This is the first of a couple of upcoming academic papers on my pension file research that should be published this year, hopefully presaging my book on Irish stories from the files, the manuscript for which is currently nearing completion. 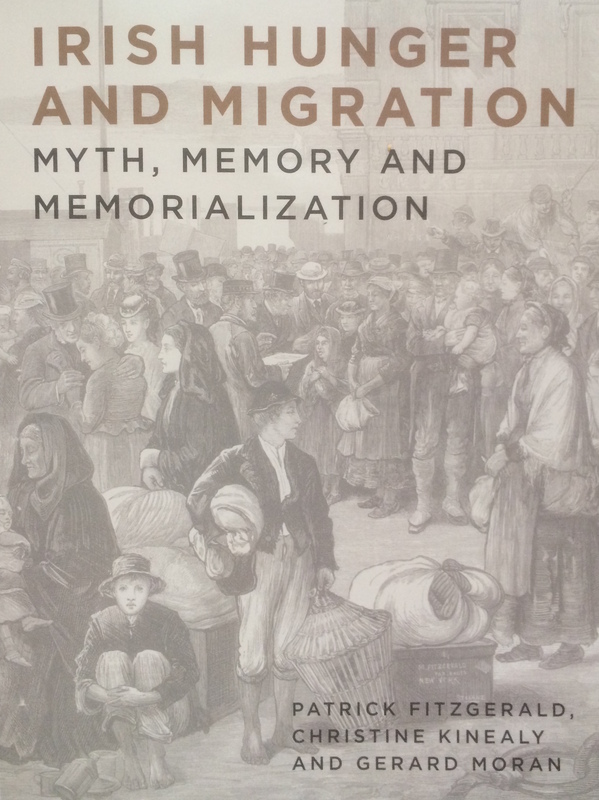 Irish Hunger and Migration: Myth, Memory and Memorialization is edited by Dr. Patrick Fitzgerald (Mellon Centre for Migration Studies), Professor Christine Kinealy (Director of Ireland’s Great Hunger Institute, Quinnipiac University) and Dr. Gerard Moran (European School, Lacken, Brussels). The volume covers a range of topics, including a number of relevance to those interested in the Irish experience of the American Civil War. The full Table of Contents is below, and if you are interested in picking up a copy you can do so here. Given the topics covered, it seems that there’s plenty of food for thought between the covers of this book. Thanks Tony- it does look good alright, I am looking forward to reading the papers in it. I recall you coming over. We were doing the 150th that weekend, for Kennesaw Mountain National Battlefield Park, Hopefully, Hotlantia weather, didn’t ruining your walking tour of the battlefield. Not an easy battlefield to walk, everything it seems to be up hill and hot. It certainly didn’t, though it was challenging! We walked the full line- luckily I had access to a shower, as I was flying back to Ireland that evening!